Happy New Year to you all. I have to say that usually I am excited to begin anew this time of year. But for the first time that I can remember I was not happy to see 2012 end. I had a wonderful year! Healthy thriving kids, great family and friends and my full time as well as part time, Etsy store, did well. I am, though, looking forward to another good one. I, as many of you likely do, have a list of things which I will approach differently this year. And I am grateful for the challenge. Today I went to our local flea market. I saw some good friends and came home with a few treasures. 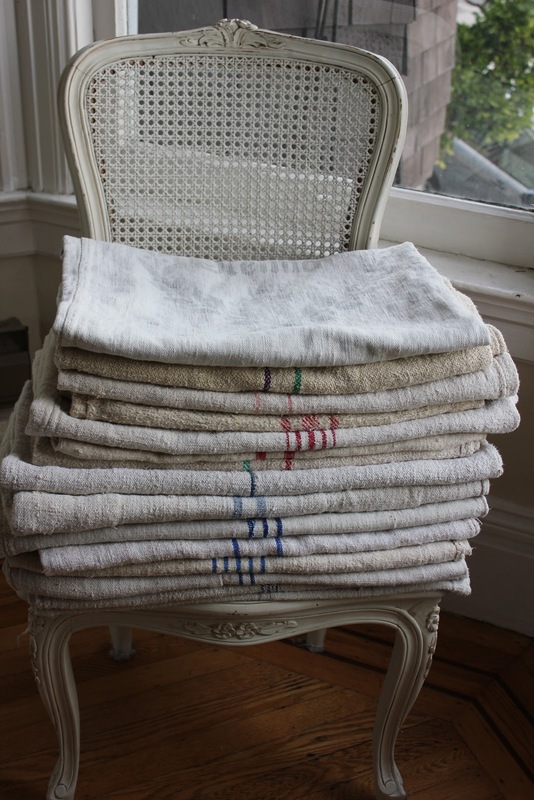 That list includes grain sacks, French hotel silver tea pots, a galvanized pitcher, a French jute sack and a few other finds. I will share more with you as soon as I can get organized. In the meantime, here is my polka dot cake. I saw one on Pinterest and loved it. It is a vanilla cake with vanilla cream cheese frosting and fondant decoration. I did not make it for any special occasion, just for practice. I had a tough time cutting into it, to be honest. I didn't want to ruin the exterior. But when I did I was thrilled to see the pink and green polka dots. This was actually very easy to make. To create the dots, you first make cake balls, or pops. You then place them in your regular cake pans and cover with batter. I just learned a few tricks as well. I did not know that it makes it easier to frost if you freeze the cake overnight, and use a hot knife to smooth it. I know that it is a bit odd that I post mostly about interiors and making use of old and worn things and then once in a while I throw a cake at you. But what I like to do here is write about my creative endeavors. So, I guess that both fall into that category. That cake is adorable and looks delicious too! You can throw cakes at us anytime- that is so danged cute, you HAD TO!!!! Plus, well, frankly, mixing it up a bit keeps things interesting? Oui? What a darling cake! And I wish I could find a stack of grain sacks too! LOVE the grain sacks and the cake is just amazing!!! those are amazing, and the cake is so cute! you're a genius! those awesome finds and this polka dot miracle...YUM! Your cake looks gorgeous Michele!! And I love the grain sacks that you picked up at the flea market!! Oh my goodness! You have quite a pile of delicious and yummy grain sacks!!! You lucky, lucky girl. Love how cute that cake is too. It looks like you bought it professionally done at a bakery! I'm impressed. No you did not find all those wonderful things at the flea market!!! Wow, what a day. And that cake is to die for adorable! I love it! Happy New Yard, I love old photos of beautiful linen. 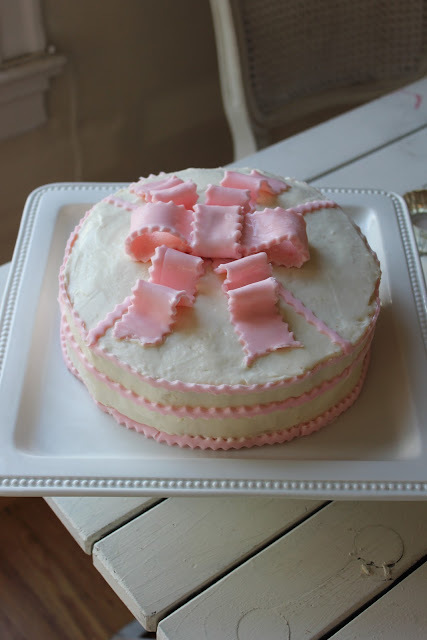 What a cute cake, and the vintage linens are so nice! Those linens are beautiful and that cake looks yummy. I could have a piece right now for breakfast with a glass of milk.